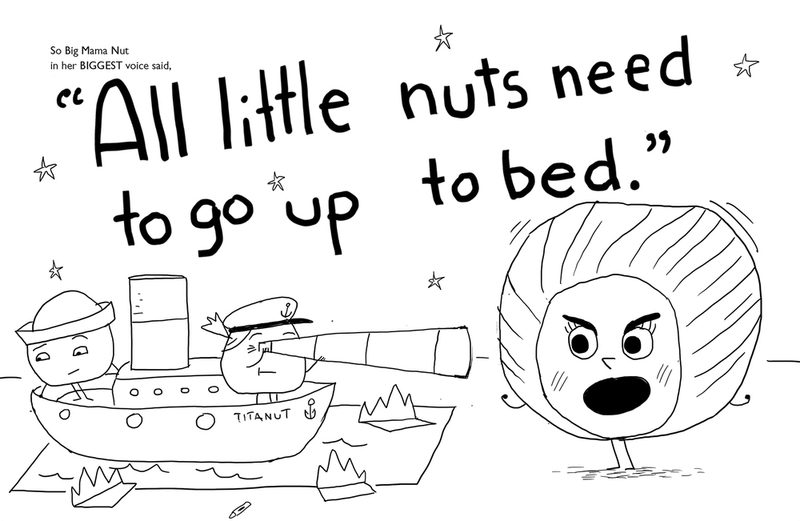 Do things go totally nuts at your kid's bedtime? Bedtime at the Nut House might be for your family. Its a catchy bedtime adventure that invites readers to chime in and join the nutty hijinks. Written by Eric Litwin (Pete the Cat: I Love My White Shoes) and illustrated by Scott Magoon. Then Hazel and Wally kept singing their tune. Me: "Brush your teeth! Pajamas! Its quiet time now." Familiar? Then Eric Litwin's (Pete the Cat: I Love My White Shoes) Bedtime at the Nut House might be for your family. Its a very catchy bedtime adventure that invites readers to chime in and join the nutty hijinks. You can read more about the Nut family at their very own website. Also, be sure to check out the other books in this three-book series, Sing and Dance in your Polka Dot Pants and The Nuts Keep Rolling. 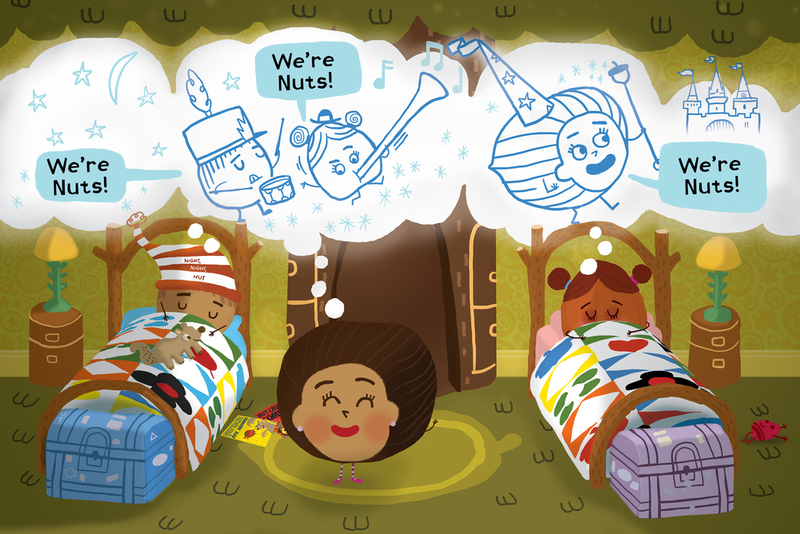 THE NUTS: BEDTIME AT THE NUT HOUSE, published by Little, Brown Books for Young Readers is available from Barnes & Noble Booksellers, Wal-Mart and your local independent bookseller. Be sure to check out the totally rocking interactive eBook version as well, only at the Apple iBooks store for use on your iPad, iPhone or Mac. Apple selected Bedtime at the Nut House eBook as a Best of 2014! 2014 ABC (American Booksellers Association) Best Books Selection for Early Readers. Society of Illustrators The Original Art 2014 juried show acceptance. Publisher's Weekly had the scoop on this book in a nutshell. Read all about it here. The Boston Globe ran a story about a nut (me). Here's a nutty article about Nut House author Eric Litwin. In this live performance video, author Eric Litwin introduces our new book and teaches some nutty dance moves...I'm totally working in his Baboon moves into my own repertoire! I love this trailer oh-so-much—be sure to have your sound turned on so that you can hear author Eric Litwin's catchy tune! Here are some sketches I created while working on Bedtime at the Nut House. Here's a cover sketch. Was trying to 'branch out'! I love how the kid nuts are kind of smart alecs—but mean well. Character sketches of Wally the walnut. His beanie came later as I worked on the interior. 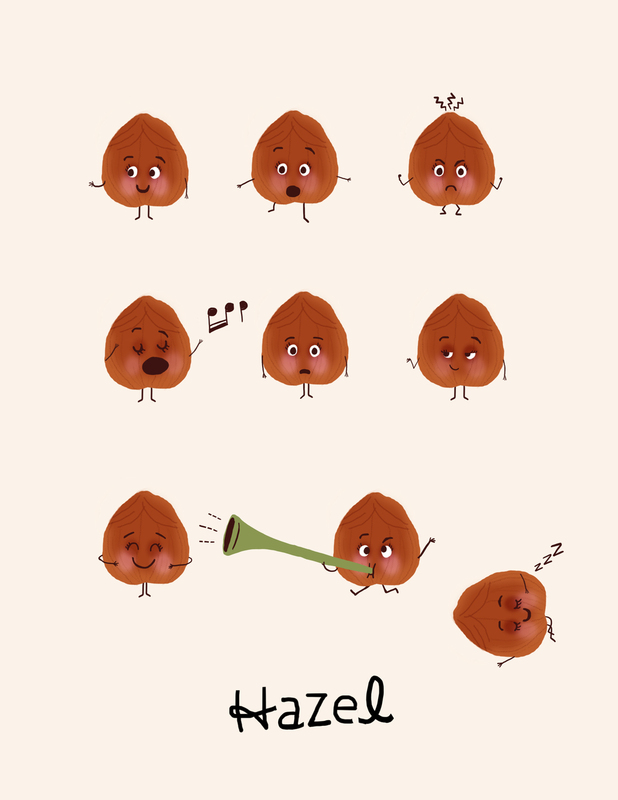 Hazel the hazelnut. I added pigtails and ribbons later so that she'd have more color. I love Mom the chestnut's design. Using the lighter part of the chestnut for her face I thought was particularly nutty.